Tickets are still available for Friday night’s kickin’ Cowboy Dance featuring cowboy jazz band Cow Bop in Hart Hall at William S. Hart Park, hosted by the nonprofit Friends of Hart Park to kick off the 2019 Santa Clarita Cowboy Festival. 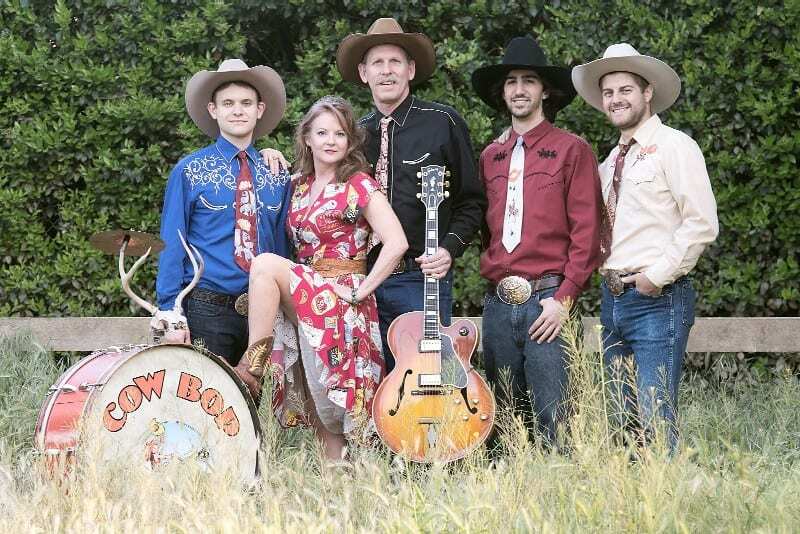 It’s bound to be a great night of country swing, two-step and line dancing to Cow Bop’s cool sounds, mixing Western swing grooves, thrilling riffs, sweet and hot vocals, big-sky sensibilities and tons of fun. The band has toured extensively throughout the world, exciting audiences with their singular brand of music and stagecraft. A free dance lesson at 6:30 will start the evening, taught by Santa Clarita’s own Michael Eads, UCWDC Master Dance Instructor, also a Country Two-Step and West Coast Swing Champion. Cow Bop will take the stage at 7. Admission is just $10 and proceeds will go toward Friends of Hart Park’s fundraising efforts. Get tickets now at cowboyfestival.org. For more information, visit the “Cowboy Dance with Cow Bop” event page on Facebook.